Ear seeds are a form of acupressure using the seed from the vaccaria plant (used in Chinese herbal medicine) on a piece of medical adhesive tape. Most commonly it is used in ear acupuncture, called auriculotherapy. 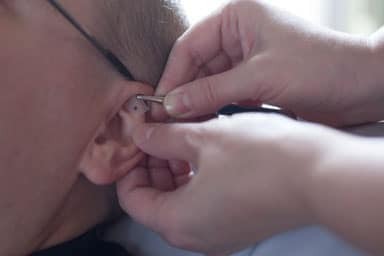 There are acupressure points on the ear that correspond to all parts of the body, referred to as a microsystem in traditional Chinese medicine. Ear seeds can also be used to provide acupressure to points on the body as well. How do I use ear seeds? I recommend starting with a condition-specific kit. 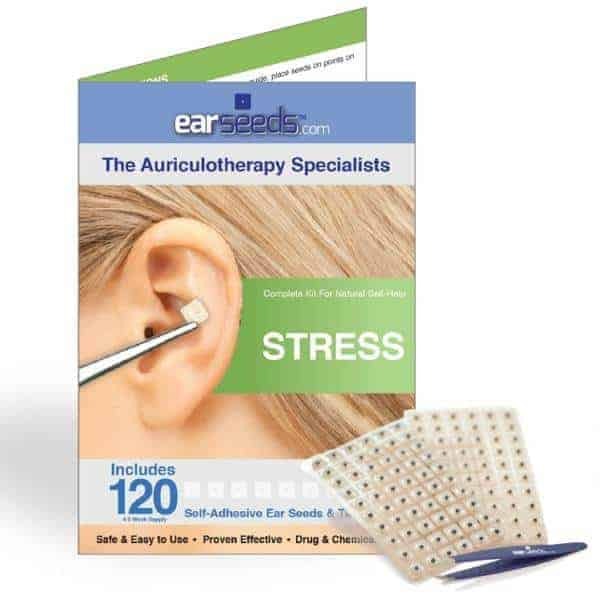 The EarSeed brand has about 14 different kits to choose from covering various health concerns such as anxiety, headaches, weight loss, and more. In the kit, you will receive 120 ear seeds, instructions for use, stainless steel tweezers to help peel off and secure the seed in the right place, and an illustrated graphic of the ear showing you exactly where to place the seed and why. Once the seed is in place, it provides a constant, mild stimulation to the acupressure point. As needed, you can amplify the effect by doing a light fingertip massage over the seed every few hours. Yes, if you use them! I always tell my patients, if you get an ear seed kit and it sits in your bathroom cabinet, it’s definitely not going to work. I do find acupuncture treatments to be the best option, but if you need a little more support between treatments, or have a delay that’s keeping you from treatment, or are extremely needle phobic, then this is a wonderful option to add to your self-care routine. Typically not from the seed itself. However, you could have redness, irritation, or itchiness at the site if you are reactive to adhesive or latex, if you leave it on longer than 5 days, or if you press too hard for too long on the point. Never press to the point of pain or discomfort. If you have any reaction, remove the ear seed right away – the irritation should calm. If the irritation persists, please let us know and contact your doctor if needed.